1 in 5 jobs would be created by the hospitality and travel industry in the coming years. So, the opportunities in the hospitality industry would be more than other industries. However, great jobs are like hot cakes which get sold and cold pretty quickly. So, the hospitality professionals need to be super smart in finding the jobs in 2019 and beyond. So, here we present 5 smart ways to find hospitality jobs in 2019. We believe that traditional methods will give way to these smart job searching techniques in 2019 and beyond. These are a blend of conventional wisdom and fresh methods to match up the pace set by the ever-changing landscape of the hospitality industry. According to a survey of 5000 job seekers by FastCompany in the USA, traditional job boards, LinkedIn and networking continue to rule the market. These still work for a few but is on its way out. So, get out of these habits. Earlier the better for all hospitality job seekers. So, before we begin with the list, let’s first mention what’s not going to work in 2019 and beyond if you are looking for a great career in the hospitality industry. What’s not a smart way to find hospitality jobs anymore? Sharing resumes with multiple Recruitment agencies and then relaxing. This strategy doesn’t work any more especially in hospitality as technology has enabled almost all hospitality employers and hotels to have a personalised database and human resource team. They want to hear from the candidates directly. You loved registering for the portal and then clicking 100 times in 3 minutes to apply to hundreds of jobs. Didn’t you? Unfortunately, this would not give you results. The Portals have changed and applications now require personalisation. Sending messages on social media or commenting on social media to all job posts. Just commenting or messaging won’t work anymore. The social media is crowded and everyone is being spammed. Those who take out time to act differently win. Step aside from the crowd. Due to automation bots are taking place of recruiters. CVs get shortlisted or rejected without even human interactions. Thus a smarter approach to finding hospitality jobs is required in 2019. The methods have to be both Online and Offline. Have a look at a few of our suggestions for your next career move in the hospitality industry. We mentioned bots doing a lot of screening for employers with automation. This is set to increase in future. So, it’s important to be smarter than the artificial intelligence or machine learning based bots. Find the right company, the right boss and then match your skills with the desired job role. Explore the skills that you have that can give you the competitive edge and use it both offline while you speak to people and online in CVs, social media profiles, cover letters etc. Use your skill and sell them properly in your resume and on social media profiles to get through the robots or even human resource professionals. 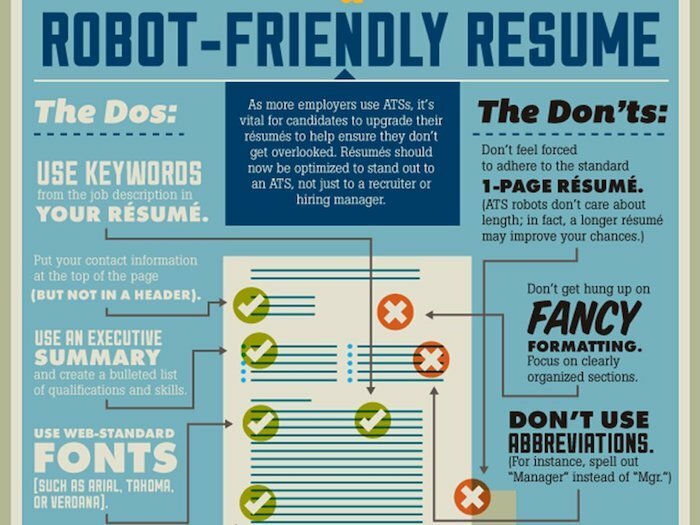 Bot friendly resumes, as displayed in the below image by the business insider, must sell skills relevant to the job to beat the automated bots. Hospitality jobs are going to be available in plenty. To search hospitality jobs effectively you would still need ample support of the job portals. However, one click applications don’t work anymore. No HR team likes to be snapped by numerous applications. The job boards like the one at this Global Hospitality Portal along with other popular hospitality job portals including services like LinkedIn, Glassdoor etc are still the best resources to know about fresh vacancies. These job portals are using more and more of technology to filter and screen best candidates. So, apply only to the most relevant jobs, try using cover letter and customise cv for each job application. Most of the hospitality employers still use job portals in some way or the other and it is useful to keep the updated profile in the most popular portals. 3. Storytelling Technique – What’s your story? If you need to keep shining in 2019 and beyond, you need to be a good storyteller. And mind you, the story should not look genuine, it should be genuine. Behavioural aspects are now the most important thing employers look for in the prospective employees. The belief is that skill can be developed if the environment, attitude and effort are in the right direction. This is even more important in the hospitality industry where service and personalisation rank over skill sets. Finding a job should be like your next project. Everyone has a story and your story should invoke the right emotions for the hiring manager or recruiters. It is pretty much part of the communication and in 2019 and beyond a good storyteller will find easier passage towards an astonishing hospitality career. 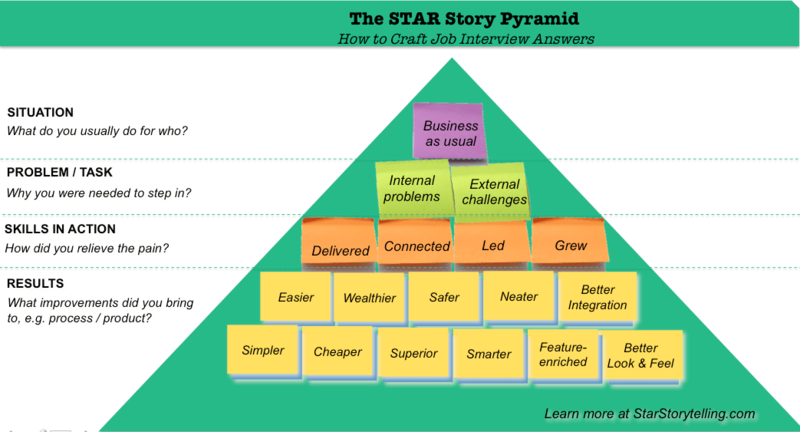 Use the Star Storytelling method as explained in StarStorytelling Blog to plug in your right emotions in all your stories that would help you in your next career move. It has been observed that even in the most connected world today, we are out of network. While the hospitality industry seems to be a well-knit community online, the offline events have decreased. It’s time to start meeting and networking with people. You will find lots of benefits in networking. Using the network for your hospitality job search is one of the benefits. LinkedIn and other social media platforms are equally good but they must be complemented with the coffee meets, phone calls and other modes of offline networking. LinkedIn does give a lot of options to network for the purpose of career advancement and learning. Check our other article for details on how to find hotel jobs through LinkedIn. We have placed this at the last but this can be one of the best among the smart ways to find hospitality jobs in 2019. The online space is so packed that people miss the connection out of technology boundaries. People are ready to help and more than ever now. We just need to ask. So step up and ask help from your family, colleagues and friends. Your next hospitality job might just be through a referral. What more, you would also revive some old connection en-route your dream hospitality job. The Hospitality & Travel industry has the most diverse category of jobs. Career options in the hospitality industry are limitless. The competition is fierce and employers look for different skill sets so that the employees can cope up in the world of technology and rapid transformational innovation. So, in this post, we have suggested some of the smart ways to find hospitality jobs to stay ahead of the learning curve in the current knowledge economy. Hope this article would be useful for the next career move of all our readers. It’s all about upgrading ourselves to our own best version. Isn’t it?